FCMG’s performance of Benjamin Britten’s children’s opera Noye’s Fludde will be broadcast on BBC Radio 3 on Tuesday 3rd July at 7:30pm. 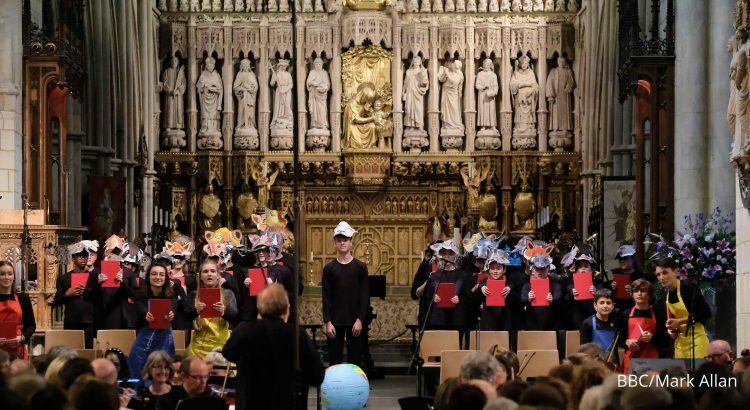 The performance was part of the BBC Singers’ concert ‘A Britten Celebration’ at Southwark Cathedral and featured FCMG President Martyn Brabbins conducting, Jamie W Hall as Mr Noah, Jessica Gillingwater as Ms Noah and Michael Crawford as The Voice of God. For more information go to https://www.bbc.co.uk/programmes/b0b8gf26. The performance will be available to listen to up to 30 days after broadcast.